Arizona’s Concours in the Hills, founded in 2014 by respected automotive aficionado Peter Volny, is the premier gathering of luxury automotive enthusiasts in the Desert Southwest. 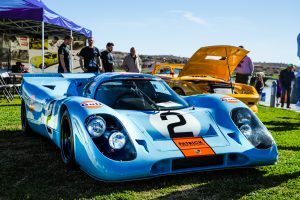 Following the tremendous success of the annual event over the past few years, the 2019 Concours in the Hills has once again broken previous records and set new milestones with a total of 941 vehicles on display and more than $155,000 raised in donations for Phoenix Children’s Hospital. 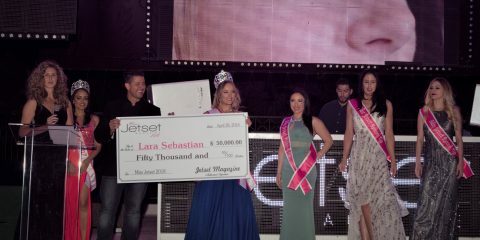 This year’s event was strategically staged across the beautiful rolling terrain of the esteemed Fountain Hills area with more than 20,000 spectators in attendance. Unbeknownst to many, Phoenix and its neighboring city of Scottsdale make up a region brimming with luxury and exotic vehicles. 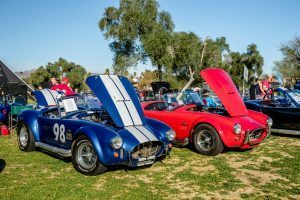 It’s only natural, then, that an event of the Concours’s caliber finally found its place among the affluent automobile auctions and custom car shows interwoven into the fiber of Arizona’s buzzing automotive scene. Now in its sixth year and presented by Scuderia Southwest (the largest car club in Arizona and host of the area’s monthly “Cars & Coffee” gathering), Concours in the Hills has already earned a stellar reputation and is often considered one of the absolute best automotive events in the state. 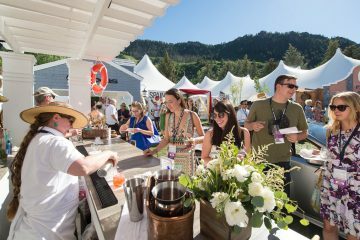 Similar to the originating concept behind the famed Concours d’Elegance in sunny Pebble Beach, Concours in the Hills stands alone as the only car gathering in the state to be held on grass. This format provides a unique opportunity for those looking to display their beloved vehicle to spectators, while also helping ensure that only the appropriate authorized vehicles and personnel have access to the lake and fountain area where dozens of the world’s finest vehicles are carefully positioned for the show. 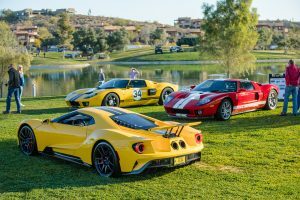 More than 100 sponsors participated in the 2019 event, with three new sections of the show dedicated specifically to race cars, genuine Shelby vehicles, and an area reserved exclusively for Ford GTs. As in the past, the 2019 Concours also featured a handful of historic helicopters (including two US Marine Corps attack helicopters which were flown in from San Diego exclusively for the show), each with its respective automotive counterparts (i.e., Cobras, Vipers, etc.) gracefully on display nearby. This year’s guests were also treated with the unique opportunity to view the only Lonestar Cobra ever built by Shelby, as well as a D-type and an XK-SS Jaguar, making the event a once-in-a-lifetime opportunity to view these ultra-rare machines along with hundreds of Arizona’s other most valuable works of automotive art. The event’s one-of-a-kind setting encourages spectators to make their rounds and enjoy all of the vehicles spread throughout the Concours’s extensive show grounds. In keeping with Concours in the Hills tradition, each year’s show begins with the infamous “Gentlemen and Ladies, Start Your Engines” declaration, delivered by a top-notch group of local race car drivers and 2019 proved no different with the infamous announcement being made by valley residents Lyn St. James, Arie Luyendyk, Didier Theys, Harley Cluzton, and ex-bachelor TV star Arie Luyendyk Jr. Previous starting officials have included motorsports legends such as Sports Car World Champion Bob Bondurant and IndyCar Champion Paul Tracy. When the signal was given, the hundreds of display vehicles simultaneously revved their motors in a reverberating automotive symphony that was certainly appreciated by visitors fortunate enough to witness the early morning spectacle. The Concours planning team thoroughly investigated area weather trends and strategically determined that the second weekend in February would be most favorable for sunny skies and dry conditions. Next year’s Concours in the Hills event is scheduled to take place on February 8th, 2020 (with a rain date of February 15th) and admission is always free for all spectators. 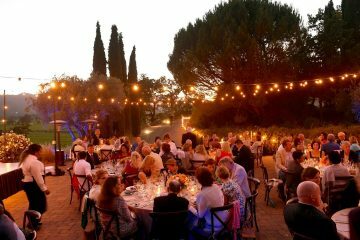 Take a look at the gallery below for a sampling of what to expect at the 2020 Concours in the Hills. 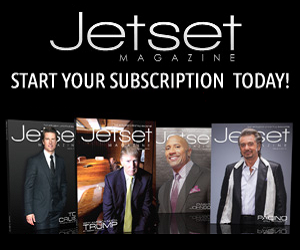 A fervent passion for racing and an intimate knowledge of luxury and high-performance vehicles makes David Haraldsen the perfect fit for the position of Jetset's Executive Automotive Editor. For almost two decades, David has been traveling the world discovering and test driving the latest supercars and high-end automobiles. With a garage that would make even the most diehard gearhead green with envy, David is also a preeminent car collector. When he's not jetsetting in pursuit of his next dream vehicle, David enjoys spending his free time with his son and visiting the local track and squeezing in a few hot laps. For editorial consideration please contact [email protected](dot)com.